Dr. Freedman is board certified in Obstetrics and Gynecology. In practice for 30 years, he founded Womens Health Specialists in 2001. Dr. Freedman was the former chairman of Obstetrics/Gynecology department at West Hills Hospital. A nationally respected name in gynecology, Dr. Freedman lectures in menopause and estrogen therapy. Born and raised in Pittsburgh, PA, Dr. Freedman received his B.A. in behavioral psychology from Northwestern University. He received his M.D. degree from Eastern Virginia Medical School. Residency training was through the University of Pittsburgh at Western Pennsylvania Hospital. Upon moving to the Los Angeles area, Dr. Freedman established a practice centered on natural childbirth and innovative surgical techniques. WHSWH have completed cutting edge research on intrauterine devices and implant contraception. In addition, the group has completed a study on vaginitis, hyposexual desire syndrome, bio-identical hormones and prevention of preterm birth. 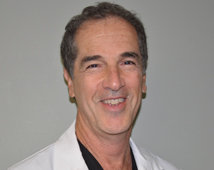 Dr. Freedman currently serves on the California Medical Board as a physician reviewer. He also examines and reviews OB/Gynecology physicians for the CAP-MPT malpractice insurance company.